In unilateral sensorineural hearing loss (UHL) also known as Single sided deafness (UHL), hearing loss is present only in one ear. The other ear will be having normal hearing capacity. Normally hearing loss occurs in both the ears simultaneously . But rarely hearing loss in one ear can also occur due to various reasons. 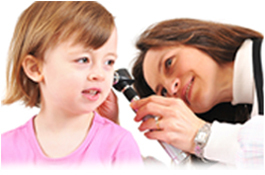 Unilateral hearing loss is found to be occurring in both children and adults varying from mild to profound hearing loss. People with unilateral hearing loss are found to have difficulty in distinguishing sound and speech from the background noise. It is difficult to find out the root cause for the occurrence of unilateral hearing loss in a particular case. But the general causes for the occurrence can be classified as detailed below. In case where surgical remedy has been ruled out by an otolaryngologist, then the following two types of amplification of sound signals is the probable method of treatment. In this system the sound signals of the defective ear are detected with the help of the mechanism in this system and they are transmitted to the other ear which is having normal hearing power. This system consists of two modules that has to be connected to both the ears of the person with unilateral hearing loss problem. In this system the sound signals in the defective ear are transmitted to the correct ear by conduction through bone and the cochlear of the normal ear hears these signals. In this system a sound processor placed near your defective ear receives the sound signals and transfers to the abutment and the implant anchored on the bone. The sound transferred via vibration of the bone to the healthy cochlea bypassing the damaged outer and middle ear.